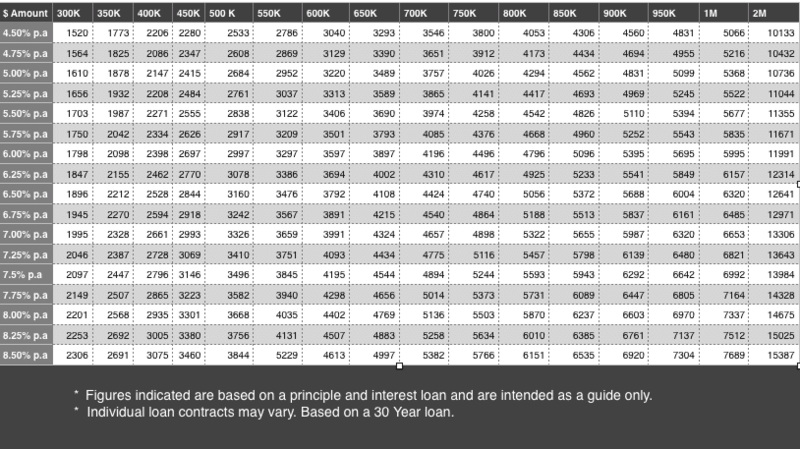 Estimate your monthly loan repayment at a glance with this handy Mortgage repayment guide. The very first step to finding the right home or investment property is knowing your borrowing limits. Use this repayments guide to estimate your monthly mortgage commitment by property value. For a confidential assessment of your borrowing capacity and loan options seek the services of a professional mortgage broker as soon as you can.